Hello! And welcome! I’m so thrilled to have you stop by on the Pat Bravo Heartland Blog Tour! 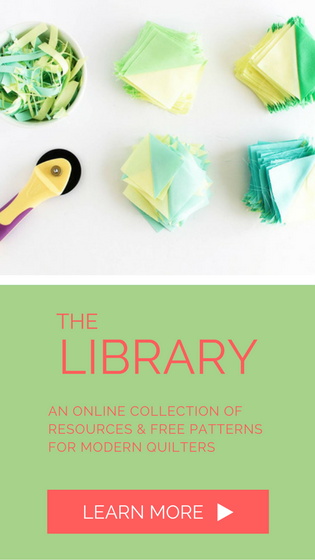 This project all got started while I was working on my Playtime Quilt. 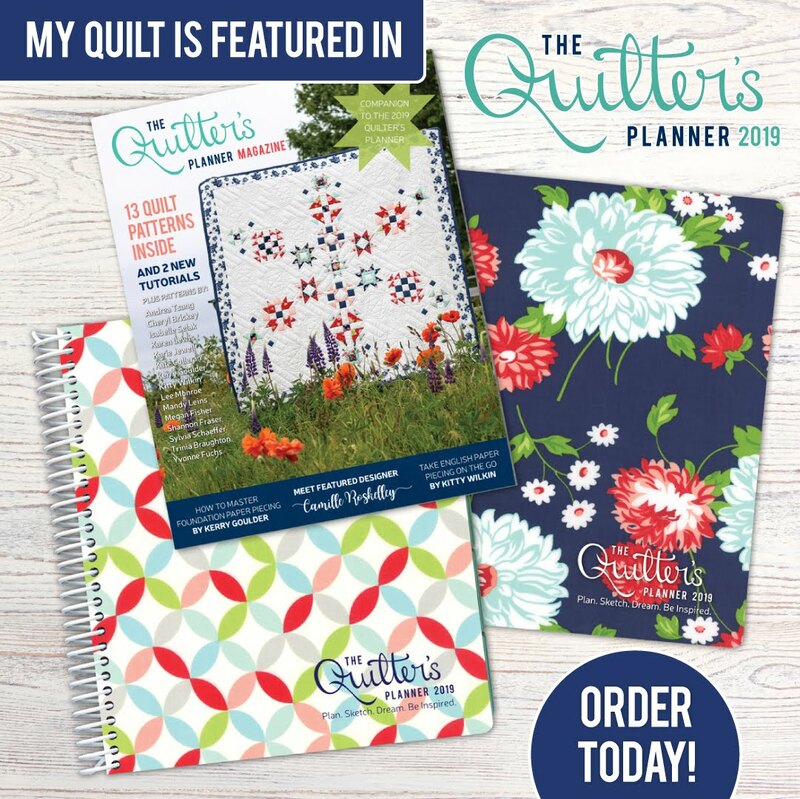 I noticed a call out for makers to participate in a blog hop featuring Pat Bravo’s new Heartland fabric line for Art Gallery Fabrics. 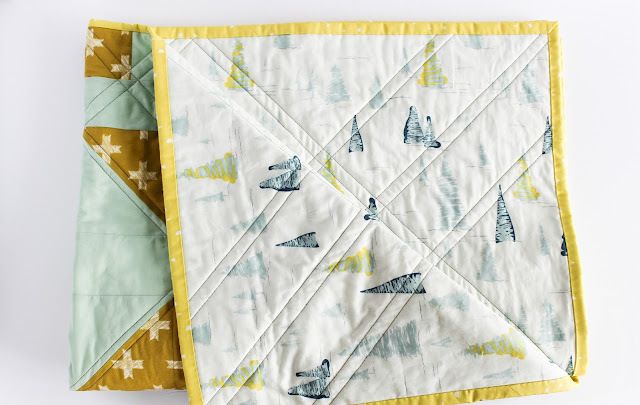 I loved working with Playground by Amy Sinibaldi and was eager to get my hands on some more Art Gallery Fabrics – they just feel ahh-mazing! There is a silky softness to them that I really love. 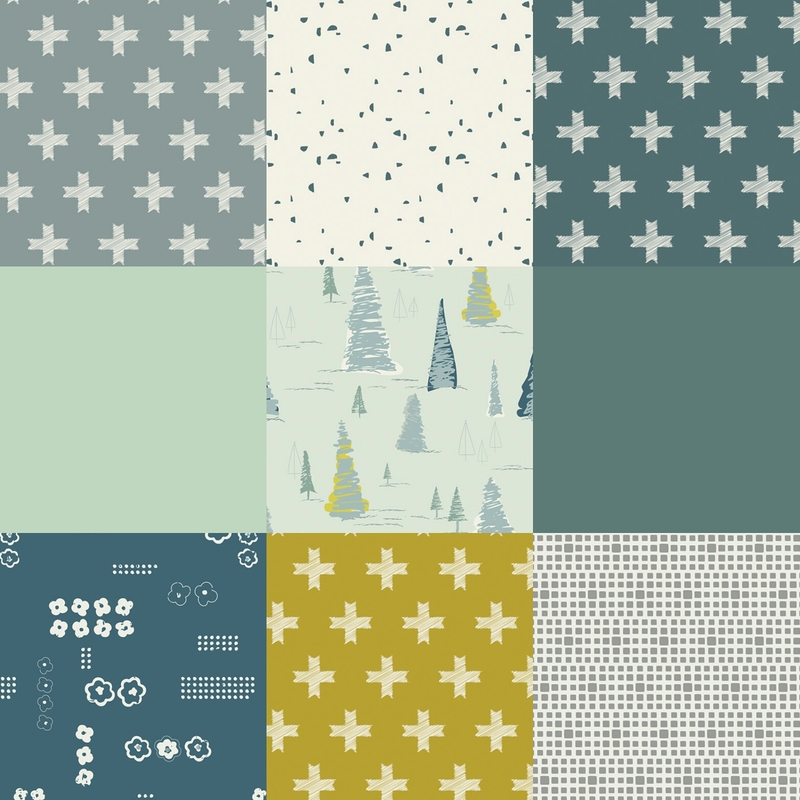 And Pat’s latest collection of grays, muted yellows, teals and minty greens is simply gorgeous. It had me dreaming of winter morning walks in the country side around the holidays – total bliss. 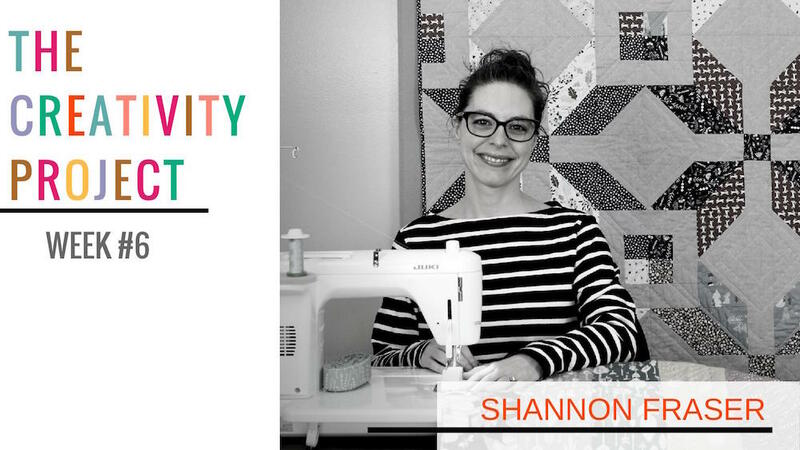 So I was thrilled to be one of 20 makers selected to participate! The only requirement for our designs was that they be Scandinavian inspired. I absolutely adore Scandinavian style. 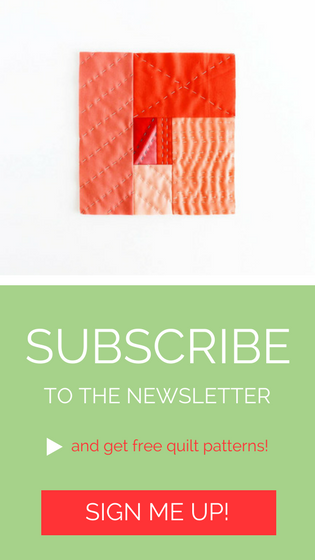 In fact, I have an interior design Pinterest board filled with the understated yet graphic design aesthetic. I can’t get enough. 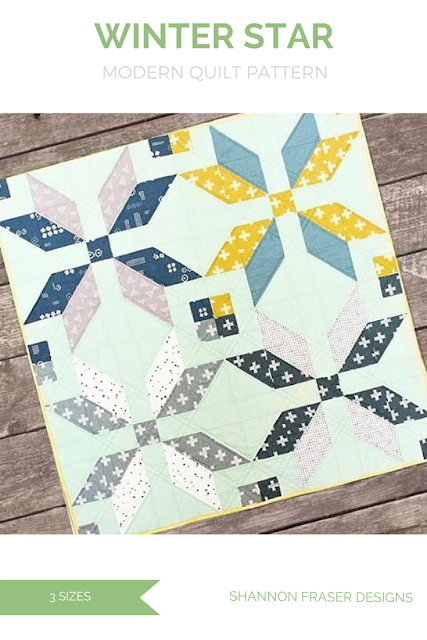 Putting together a quilt design based on this theme was no hard feat! I instantly knew I wanted to feature a little of the ochre and my design centered around that element. And I just HAD to use the wintry pine trees as my backing! It really does call to my love of nature and the magical feeling winter brings (well at least until January and then I’d be ready for spring time!!). I finally decided on the following colourway. Unfortunately, there was a little snafu in the shipping and my fabric parcel ended up in Costa Rica! 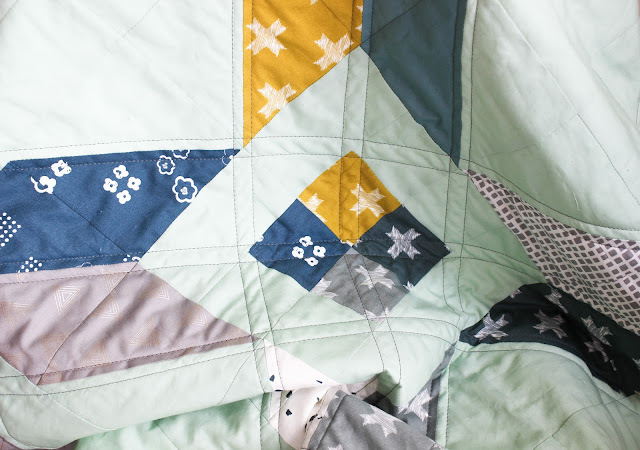 In the end, I had to change up my design and size of quilt as I only had a few days to pull everything together. 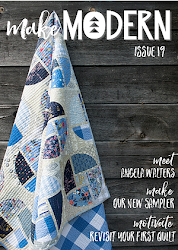 I went back to the inspiration board I had originally created and designed an entirely new quilt. 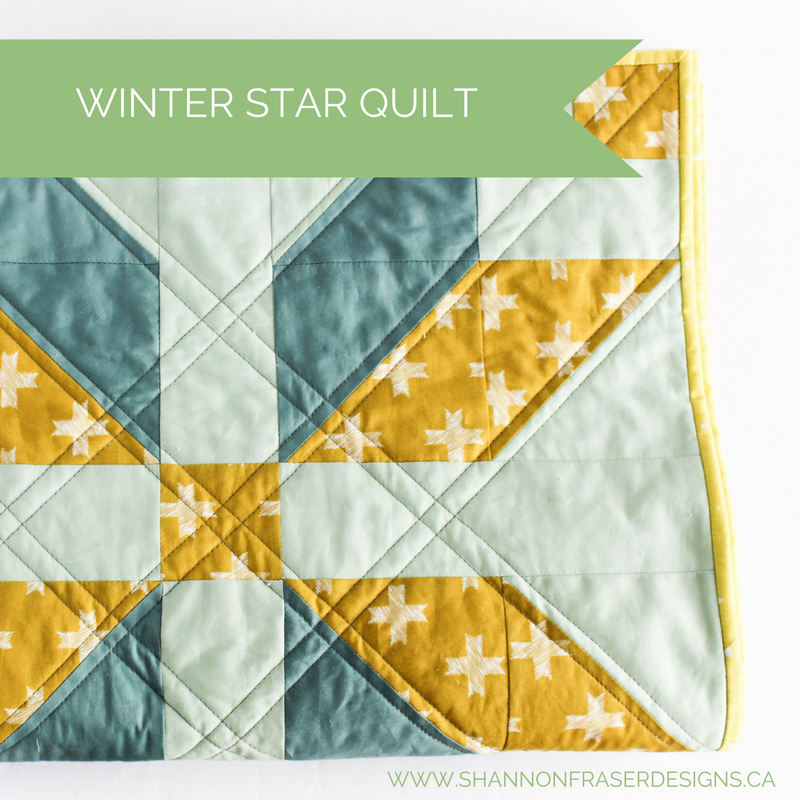 But I always say, things happen for a reason so I must have been meant to create this modern take on the traditional Nordic Star, which I’ve called Winter Star. When I was doing my research for this project, I had stumbled upon this block that was traditionally captured in red and white and on a much smaller scale. 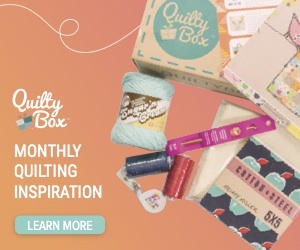 I really wanted the feel of this quilt to be soft and not too busy. So I went big and bold for the block design. And I do mean big, each block is a little over 20”. 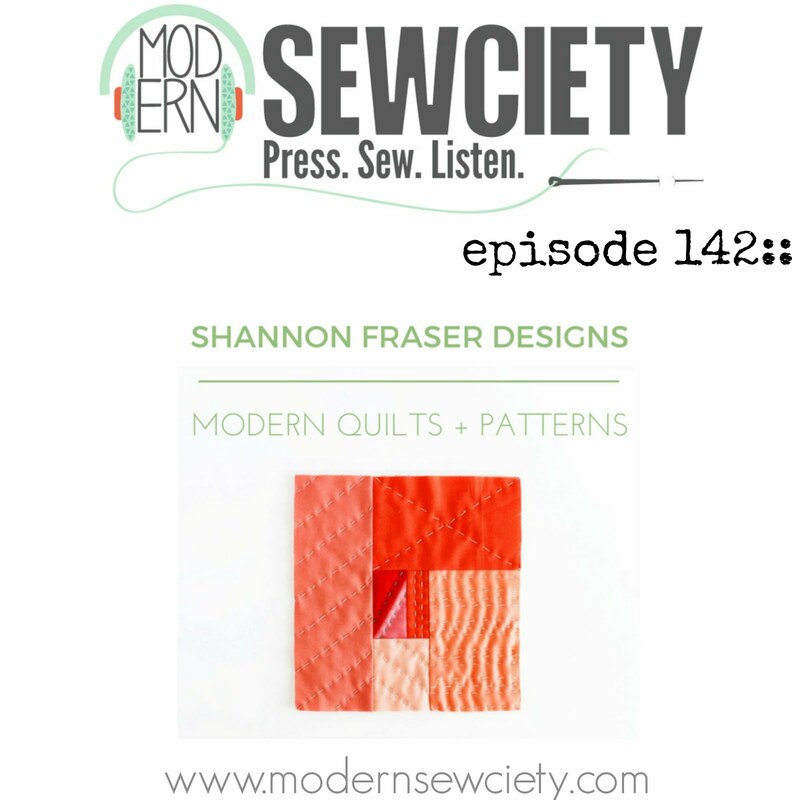 And while the design is graphic, the colourway keeps the overall feel nice and relaxed. 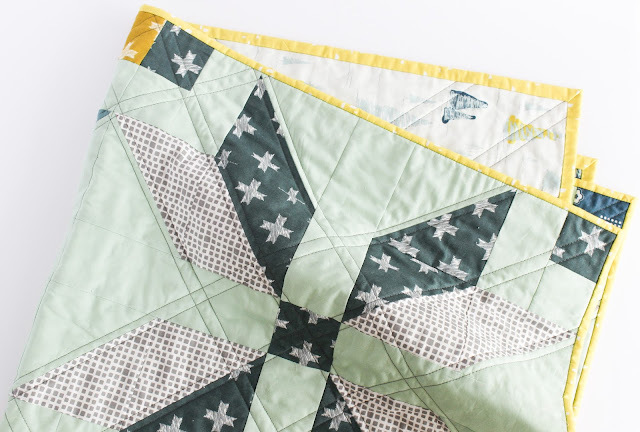 When it came time to the quilting, I knew I was going to go with gray thread. 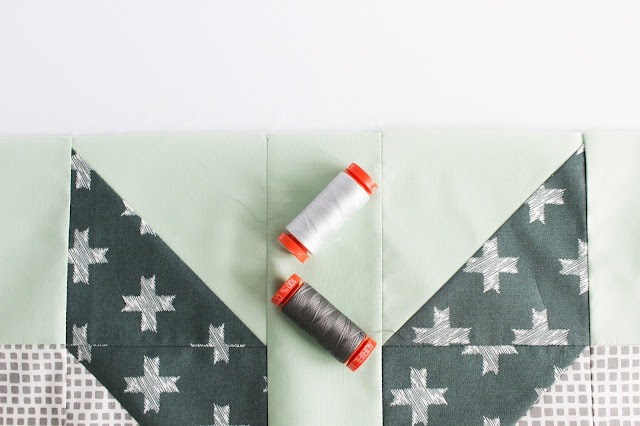 I ended up opting for a darker gray #5004 by Aurifil which blends with the grays featured in the fabric line, while complementing the minty green, teals and ochre in a subtle way. 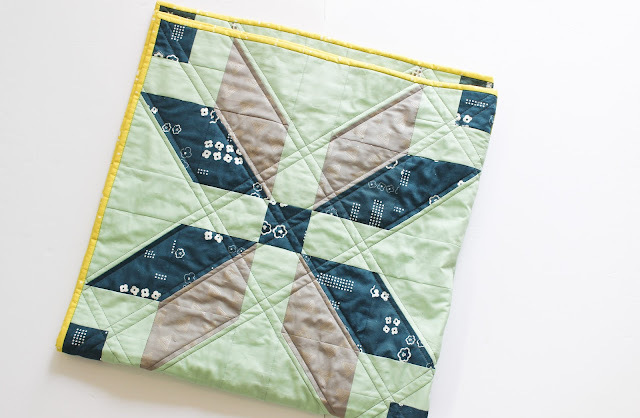 I went for diagonal quilted lines in order to emphasise the star shape. I love how it all looks from the back as well! On a side note, I typically quilt with 40wt Aurifil thread, but I went with 50wt as that was the only gray I had on hand. I was concerned the 50wt wouldn’t give me the prominent stitches I love, but I really quite like the effect! 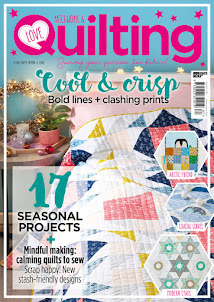 I finished off the quilt with a lovely yellow binding in the Droppar Burst fabric. 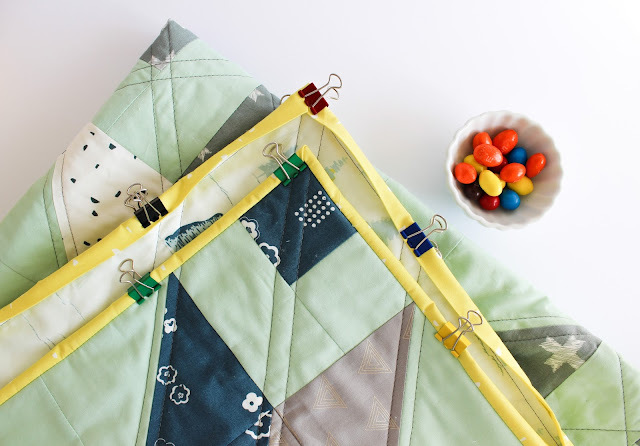 I was in my happy place adding this final touch and snacking on some peanut M&Ms (my current binding snacking go-to)! Doesn’t it just complete the look perfectly?! 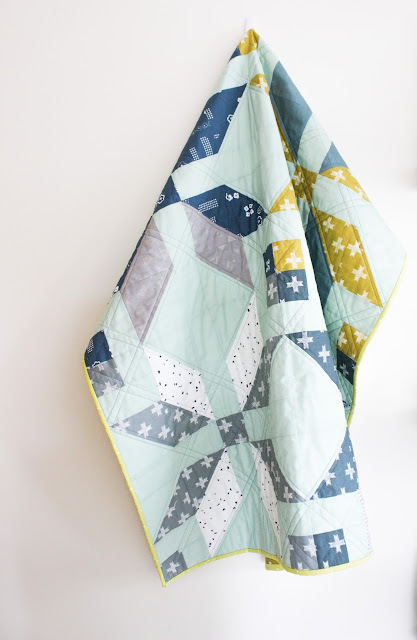 I love that the end result is a unisex baby quilt that can fit in with lots of different interior décors. 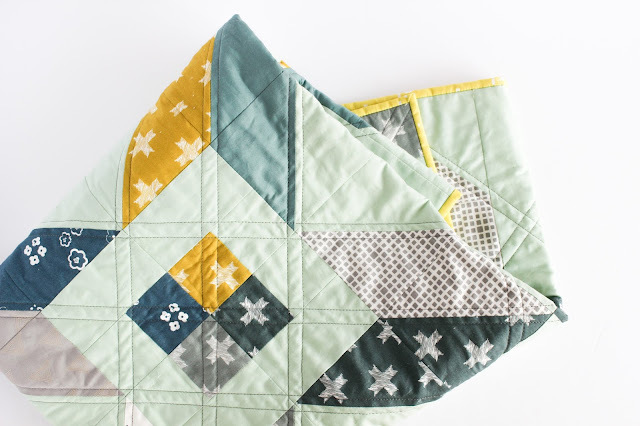 This quilt is beyond soft to the touch, plus the colourway is so soothing, it is sure to help lull a little one into a deep sleep! 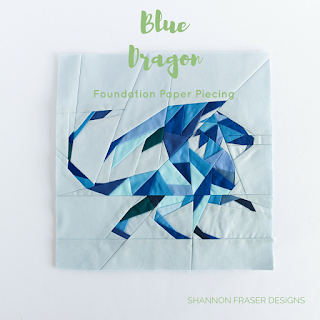 This project was a great lesson that sometimes life throws you curve balls and instead of freaking out and trying to force an original plan, you have to be flexible and open to just rolling with it. 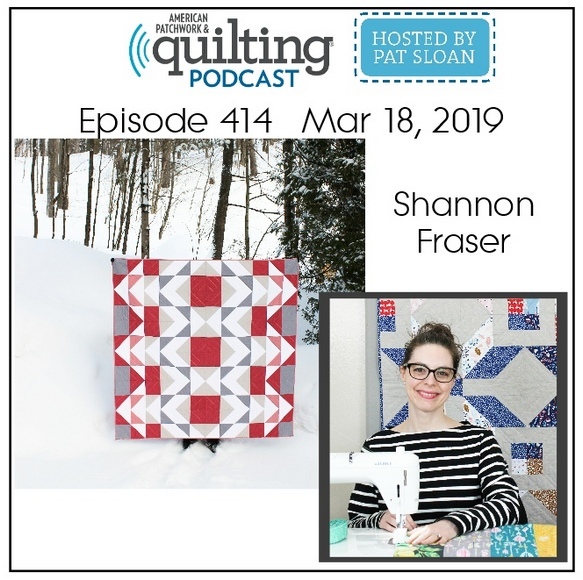 I designed this quilt Friday morning, did my test block on Friday afternoon and then pieced and quilted most of the quilt over the weekend. 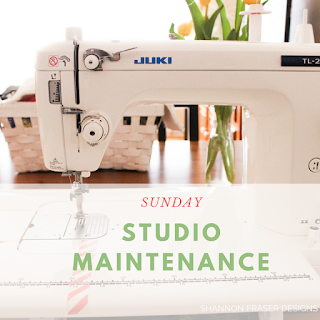 Monday was all about finishing up the quilting and spending some time hand binding. Woot woot - I made it! Thankfully the weather cooperated on Tuesday so I could get some pictures snapped and the blog post prepped. I think this is a record for me!! In the end, I absolutely adore my modern quilted rendition of the Nordic Star. 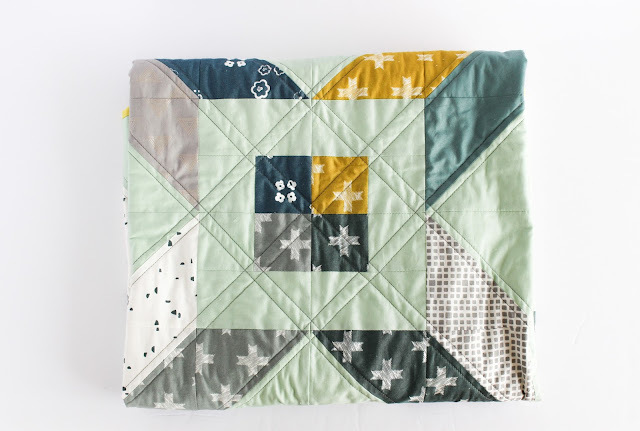 And this also marks the first baby quilt I’ve ever made. Basting this little beauty was actually fun as I didn’t have any of the usual aches and pains associated with basting the larger quilts I typically work on! Yay for that! I highly encourage you to hop over and check out the Heartland Look Book Art Gallery Fabrics has put together featuring the Heartland line – such inspiration! 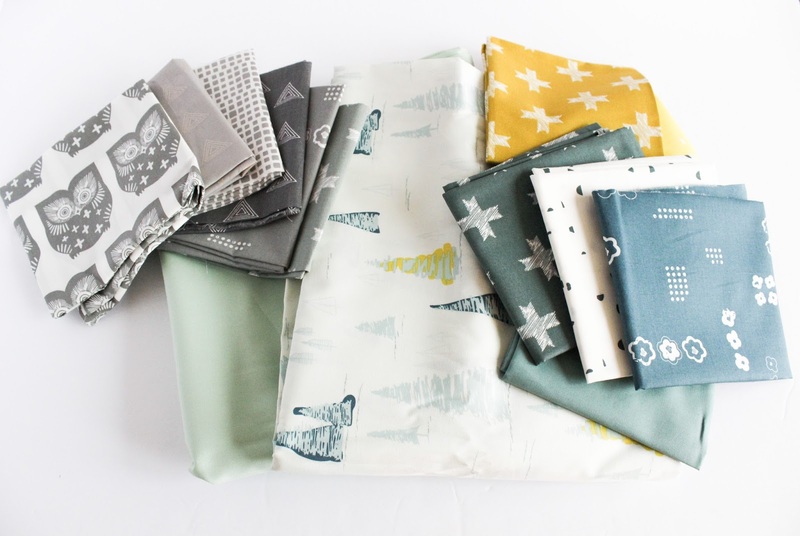 You certainly won’t be disappointed adding this fabric line to your stash!! 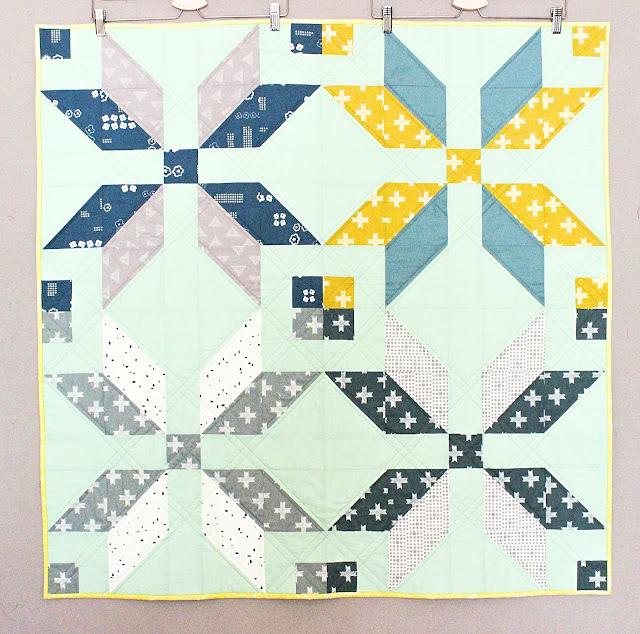 Thank you for stopping by and I can’t wait to hear your thoughts on this modern Winter Star baby quilt. 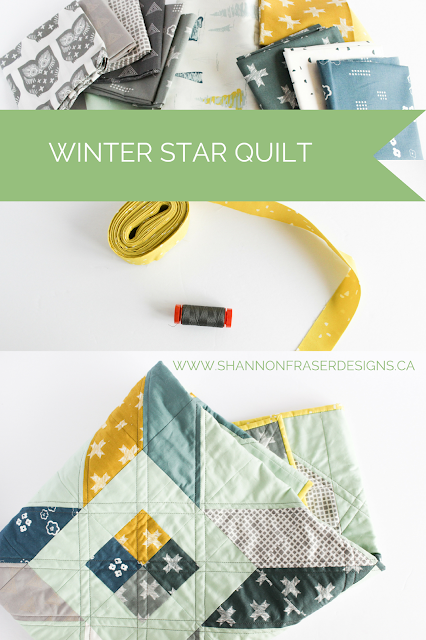 Get the pattern here to make your very own Winter Star quilt! 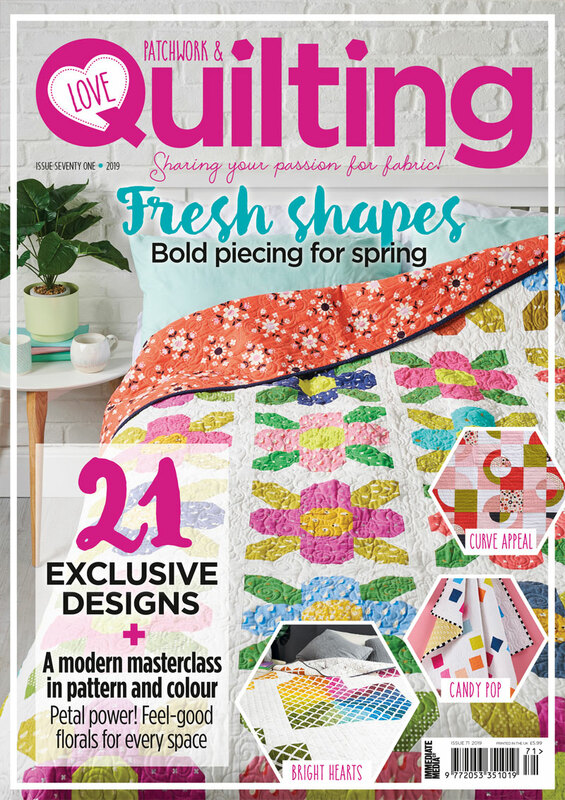 Love your idea!-love the straight line quilting! This turned out beautifully! I'm not sure I could have made all those changes in such a small time frame, so giving you a big round of applause, because you rose to the occasion and then some. Gooooorgoeus photos!! Love how you did some quick thinking and reassessed the situation to make it all work!! 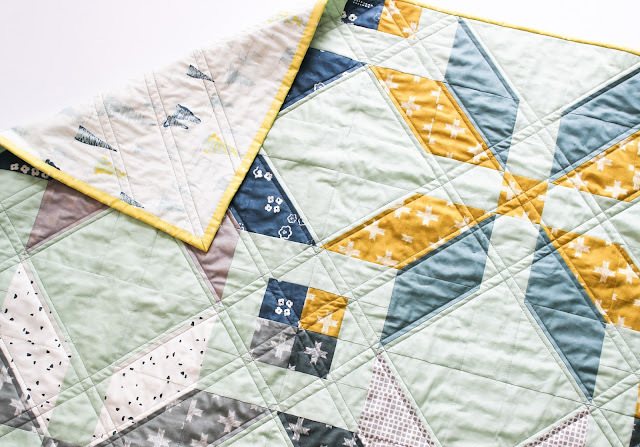 Love your baby quilt!! 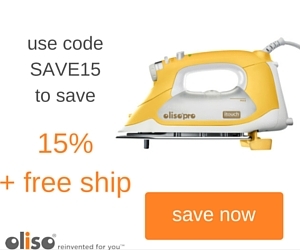 Thank you so much, Elise!! Sometimes it works out when you have to think on your feet!! So pretty. Pattern writing is harder than it looks. 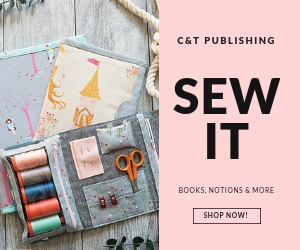 I'm considering writing up the design that I made with the Heartland fabrics too.